A water damage claim can be an intimidating process, especially when you are still reeling from the standing water throughout your building. Fortunately, despite its grueling perception, the process is straightforward. However, it is only straightforward if you move quickly, calling your insurer immediately after discovering the damage and following the four steps below. While the broken pipes may be apparent, you should still take pictures of them to show the assessor and to keep a record. Beyond the pipes, you will want to photograph any other potential damage. Take photos of wet computers, office furniture, carpeting and anything else that seems to be affected by the water. Before presenting your water damage claim to your insurer and assessor, it is wise to review your policy, making sure you are aware of your coverage and limits. Also, gather any relevant receipts to prove the value lost. An insurer will not take your word for anything, so be ready with physical and paper evidence to prove maintenance and costs. An assessor or adjuster will be sent out to judge the extent of the damage and to estimate the coverage for the water cleanup. Again, being prepared with photographic evidence, receipts and any other concrete information is valuable and likely appreciated. While your insurer will want to see the damage firsthand, most companies will expect you to mitigate further loss by starting the cleanup process. You can contact several plumbing and disaster restoration specialists in the Secor Gardens, NY, area to provide estimates. While these estimates may not be necessary, they do provide you with a negotiating tool when presented with an adjuster’s final assessment. Water damage is never any fun, and the cleanup process can be a nightmare if you are not prepared. While you have insurance to protect your interest in disasters, it is your job to be prepared and ready when making a claim. How Can Damaged Documents Be Restored? Commercial property owners with water-damaged documents should rely on a full-service damage mitigation and restoration firm in West Mount Vernon, NY. SERVPRO specialists have the expertise and equipment to restore documents and other delicate contents and materials. Find out more about three professional document restoration methods. Extracting excess moisture is the first priority for restoring documents. Different measures may be necessary depending on whether documents have been exposed to water originating from a pipe burst, leak, flood or storm. Documents may be blotted and air dried in an area with low humidity levels. A dehumidifier can draw moisture out of paper and prevent mold growth. Document drying experts may also perform vacuum freeze-drying to vaporize moisture. Document restoration professionals may remove debris from damaged documents using specialized equipment. Delicate vacuum attachments and other treatments can be used to clean these materials without causing further damage. Depending on the cause of damage, original documents may or may not be salvageable. It may be preferable to make a copy or obtain a new original. Mold growth starts when spores land on a surface that supplies moisture and nutriment. Cellulose in paper is a primary food source for fungus. For this reason, it is important to quickly dry documents. Documents that have been exposed to contaminated water may need to be copied or replaced in order to reduce mold risks. These document restoration methods are necessary to eliminate moisture and debris and allow for a document to be restored or dried to the point where photocopying is possible. Experts will factor in the cause of water damage and the condition of materials to determine the best document drying methods. 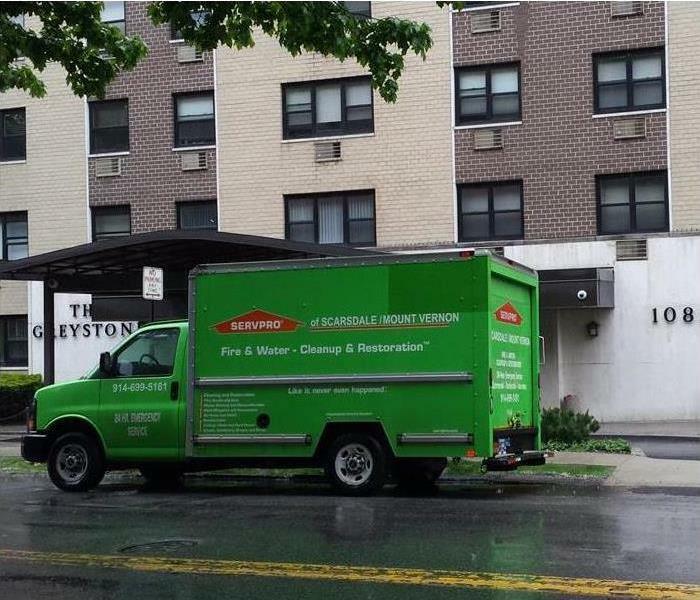 SERVPRO handles damage mitigation and provides specialized restoration services to lower costs and make it possible for claims to be processed more quickly. Any clean source of water is considered to belong in the white category. This usually includes drinking water, or water from a supply line to a sink, appliance or shower. In most cases when flooding occurs with a white water source, clean up usually involves drying the area thoroughly and any general repairs. Water in the grey category is usually considered to be a step above contaminated water. This water has been used for general purposes such as cleaning, but does not contain any biological components such as you might find in the sewer. When dealing with grey water you may want to wear appropriate safety gear to avoid skin irritation, but cleanup is fairly straightforward. 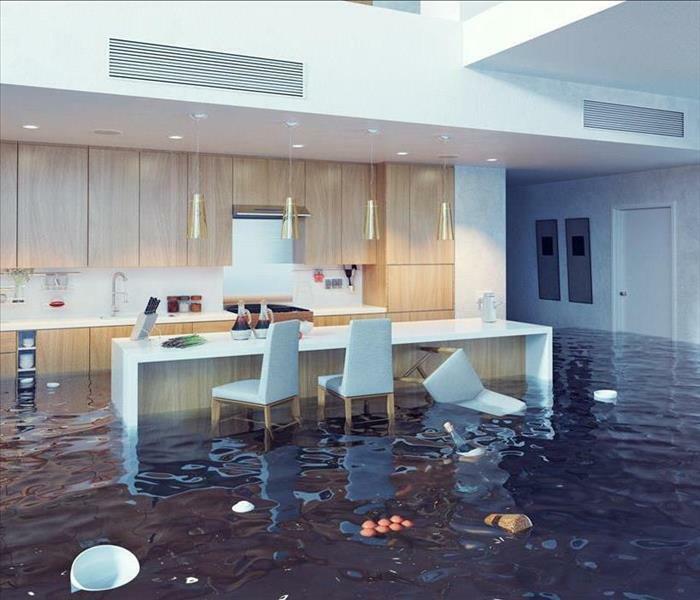 In the event your home is flooded with black water it is best to contact water damage professional to perform any cleanup and sanitation needs. 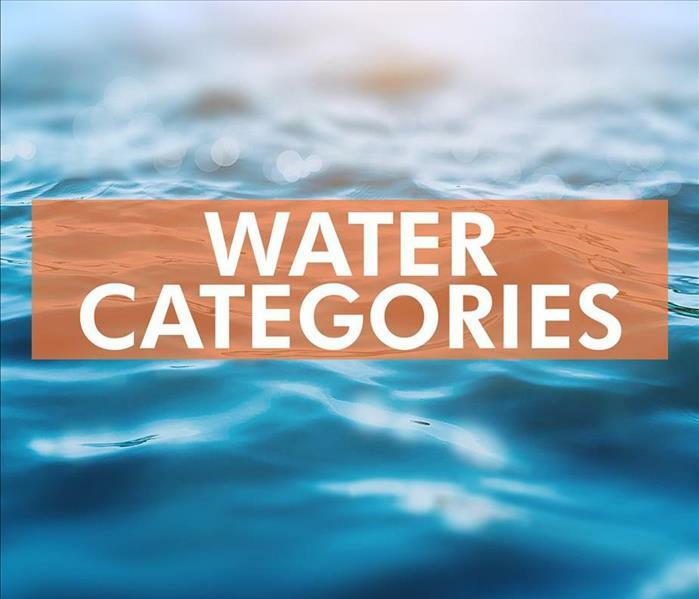 Because this type of water is considered to be contaminated, often from sewer material, appropriate safety and sanitation steps will need to be taken. Your local water restoration professional should have the tools and cleaners necessary to do the job. When dealing with flood cleanup it's important to know whether the flood water falls into the black, grey or white water category. Anything in the black category is considered to be contaminated water and should be handled carefully. Grey water has been used but does not pose a danger. White water is often considered to have come from a clean source. If you have any question your local water damage professional may be able to help. 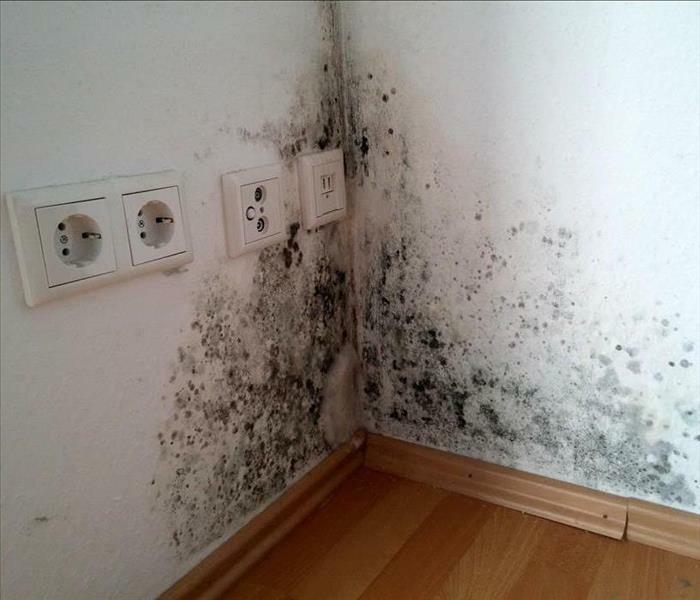 Mold exists everywhere and has been around for millions of years. It has developed the ability to survive in many environments. It also has the ability to travel easily from one spot to another. What Can You Do to Prevent Mold Growth in Your Home? One of the key steps to preventing new mold growth in your home is understanding how to find the main problem areas and then correcting any issues that may exist. Complete a thorough inspection of your home. Did you find any moldy drywall in an unfinished basement? Did you find mold on wood at the base of an old sofa? The most common places to find mold is anywhere with high humidity, a lack of adequate ventilation, and something organic to feed the mold. Unfortunately, just about everything contains organic elements. After checking through your home, take any necessary steps to remove water, reduce humidity, increase ventilation, and discard damaged belongings. The first time you complete this step, it may take some time and effort. Eventually, however, routine maintenance should be enough to prevent leaks into the attic and basement, avoid drips beneath the refrigerator, and maintain a safely dry atmosphere throughout your home. The final step in avoiding mold damage is to schedule annual inspections with Mount Vernon, NY, cleaning and remediation professionals. Although mold growth occurs naturally everywhere, you don't have to live with it in your home. Even moderate water damage at your Elmsmere, NY, home can result in costly repairs and restoration. This is why you have insurance. However, if you want the claims process to go quickly and smoothly, it’s important that you have the right storm restoration team on your side. The best companies are fast, helpful, and thorough. Not only does this give you peace of mind that they’ll do the job right, but it also means your insurance coverage will kick in more quickly. Respond to the job and complete it quickly. Tackle floods of any size. They have the knowledge and ability. When you’ve got flood damage at home, time is of the essence. The longer you wait to clean it up and restore the affected areas, the more extensive the problems will be, and the bigger hassle it will be to work with the insurance. The best flood restoration teams can arrive on scene in a speedy manner and will finish the work as scheduled. Storm restoration professionals have the experience you want on your side. The best companies have seen and done it all when it comes to cleaning up after floods and restoring home. Every crew member has received extensive training. With the training and experience comes an impressive skill set. These companies know what it takes to handle your cleanup needs, which will then make it easier to initiate and complete the claims process. You won’t find the highly specialized cleanup equipment on your own either. Fast storm restoration works hand in hand with a quick insurance claims process. Choose a highly regarded restoration company when you have a flood at home. Mold in a Downtown Scardale home. It is no secret that many individuals are struggling with contamination of mold in home as well as commercial mold damage. The reason for such contamination is through the development of either fungus or mildew on your walls and ceilings. Mold damage associated with mildew or fungus is common because mold thrives in places with moisture issues such as leaking roofs or faulty plumbing lines. Mold damage is very detrimental to the structural integrity and durability of your house. This can cause the house to fall apart and is the reason why mold removal and remediation is essential. Mold removal differs from remediation in that it involves the physical extraction of parts that have been contaminated by either mildew or fungus. On the other hand, remediation can be described as the process of demolition, sanitization, and removal of damaged features, as well as the implementation of measures to reduce and prevent mold damage. Mold mitigation is done by controlling the causal factors of fungus and mildew formation so as to reduce any further damage. Mitigation involves the both structural and non-structural procedures that limit the impact of natural and environmental hazards such as mold. The growth of mold is supported by the presence of moisture, availability of time, as well as food, in the form of flooring materials, drywall, plywood, and carpets. By taking away one of these components, you will control or prevent the formation of mold. This is the primary objective of remediation and mitigation. The basic principles of remediation are founded on ensuring safety and contamination control through proper mold damage assessment, as well as the elimination of the water and mold sources. 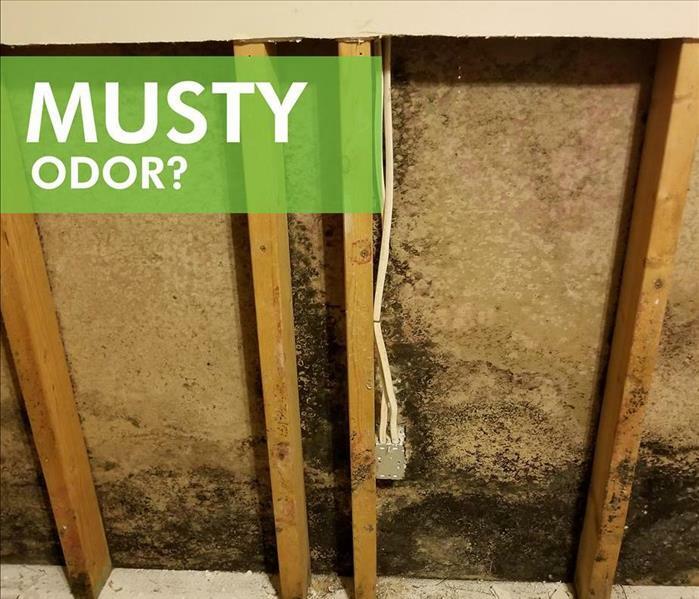 This moisture problem leads the development of a strong smelly odor, which is an indicator of mold contamination. 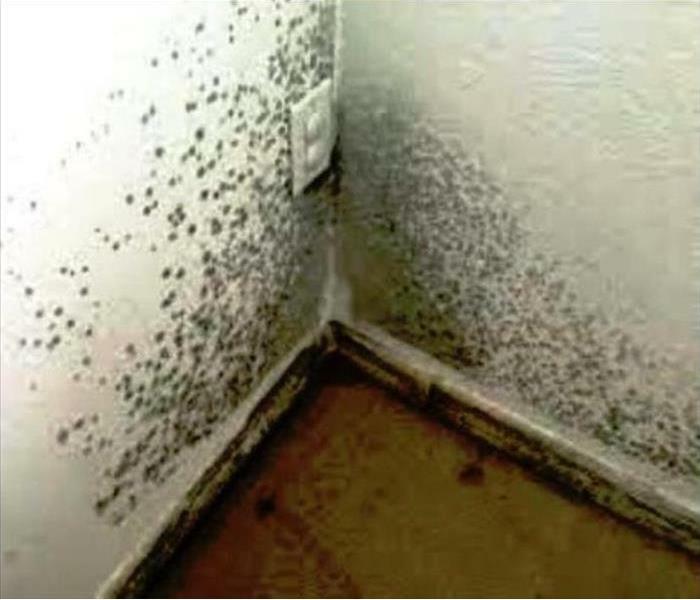 For mold in home and commercial mold damage, it becomes necessary to invoke the use of deodorization techniques. It is important to understand that the contamination is caused by a water source issue. This means that while mold grows visibly on the outer part of your walls, it is also growing inside the support structure of your home. Having adequate knowledge of the source will allow your warranty representative to locate mold growing visibly and invisibly. This is important in assessing commercial mold damage due to the exponential size of such buildings. By documenting the progress of contamination, it becomes easier to come up with a plan to manage mold in home. The professional supervisor enlisted should be able to give you regularly updated plans that outline the project duration, environmental testing, and if temporary relocation is necessary. It is fundamental to note that mold damage occurs both where you can see and where you cannot. Therefore, by calculating the level of contamination, the warranty supervisor will be able to determine how to approach the cleanup exercise. In the case of a smelly odor, they will also provide the most appropriate deodorization method. Isolating the contaminated region with plastic sheets to avoid dust accumulation. Fixing the water source so as to prevent mold reformation. Removal of all wet objects, as well as those damaged by the contamination. They are then double-packed in plastic bags for disposal by the professionals. Cleaning of all non-porous surfaces that experienced mold growth. Air scrubbing using a HEPA vacuum to boost deodorization. The process should strictly follow the guidelines of the Environmental Protection Agency. Mold in home brings about a smelly odor, health issues, as well as structural damage. 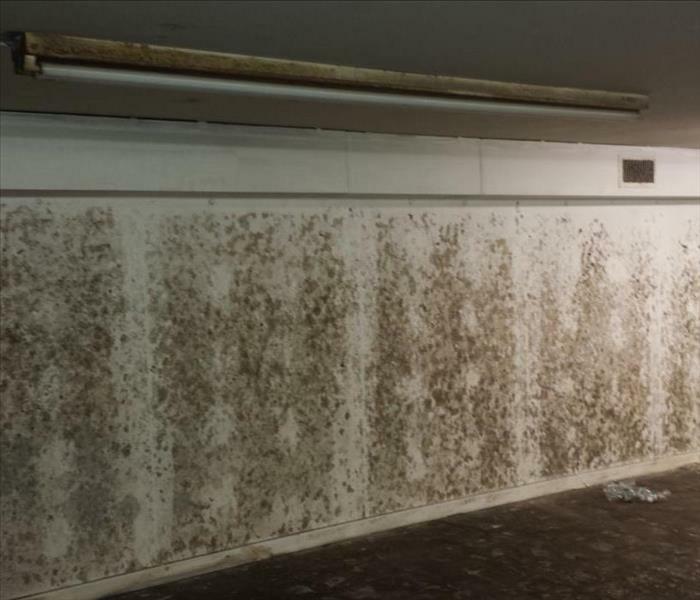 Although the smell can be cleared by deodorization, the commercial mold damage may be irreversible. However, in most cases, demolition is not the only option, as more efficient solution techniques can be used. It is advisable to enlist the help of a professional who will follow EPA standards, and carry out a post-cleaning assessment to determine if the process was successful. If you discover mildew, fungus, and particularly mold in your home, there are some crucial steps that you need to take to protect your property. When it comes to mold removal and remediation, you must understand the importance of engaging the services of a mold restoration company. On a related when it comes to mold in home, and commercial mold damage, you need to understand the risks you take of attempting to mold removal and remediation on your own and without professional intervention. A key strategy you need to keep in mind is the importance of not disturbing mold in home when discovered. When mold in home is disturbed, the spores spread and a mold problem becomes all the more serious. One step to take in this regard, if at all possible, is turning off the heater or air conditioning to prevent the spread of mold spores. Mold growth can occur almost anywhere in your home. This includes mold growth behind wall. Thus, if you discover mold anywhere in your residence, or if you detect commercial mold damage, you logically must assume that mold is present in other locations in your home. Water damage in a Downtown Scarsdale home. The water mitigation process involves the prevention and reduction of the amount of water damage caused by a permeating leak or flood. It helps you prevent further losses by taking quick, appropriate actions. You need water damage mitigation after your supply line break. It could also be necessary when a pipe break causes water in home facilities to leak. If you don't engage water in home facilities quickly, it will damage your walls, furniture, and flooring. Nonetheless, you can take concrete steps to reduce cases of the pipe break, prevent further flood damage, and restoration of your property to its full value. Water damage caused by pipe break is progressive and pervasive. It can cause permanent damage to your valuable items, especially if emergency response delays beyond 48 hours. A supply line break can cause an acute water damage in business premises. If a pipe break allows water in business premises to seep into your valuables, you can take immediate water cleanup steps to reduce further flood damage. Flood damage mitigation professionals with only carpet drying equipment can't prevent water in business premises from wicking up under baseboards and walls. Water in home facilities will penetrate through walls and flooring into sub-floors, and cause damage to other rooms. If you don't control humidity in a flooded home, undamaged items could absorb moisture from the air and get destroyed. If your structures don't dry up properly, they become a source of food for mold. That will eventually cause a need for a professional mold mitigation services. A certified flood damage restoration company will help you assess the extent of flood damage. That will help you determine the appropriate action needed to restore your flooded home. Once inspection completes, and there are no safety hazards, restoration begins. Extracting water in home facilities and containing the damage should be the priority of your restoration company. Remove all wet materials such as pillows, toys, throw rugs, and clothing from the affected area. After extracting water, your water cleanup crew will begin removing any wet surfaces on the flooring, ceiling, and walls to help expedite the drying. Your restoration company may also open cabinet drawers and doors to allow air circulation. Once you remove all wet items, the drying process begins. Water cleanup crew use commercial grade equipment such as dehumidifiers, heaters, and air movers to generate dry air and increase evaporation and circulation. You have to monitor the environment as it dries up carefully. It's also important to document the progress results. Moisture control helps mitigate mold growth. Drying takes 2 to 4 days depending on the nature of the damage. After the surface has dried up, the water cleanup crew will conduct an assessment to ensure there is no hidden moisture. That helps prevent further damage or mold growth. 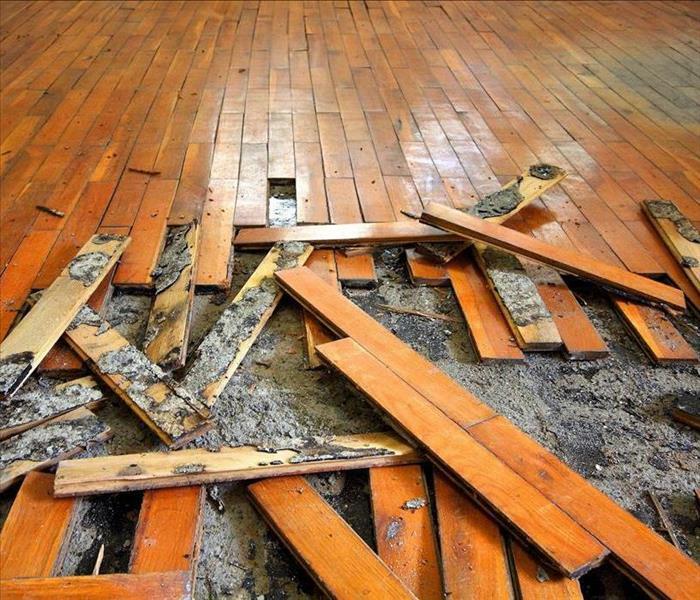 Once everything has dried up, your restoration company will help you repair damages caused by supply line break. By the end of reconstruction, your home should be safe, healthy, and reinstated back to its state before the damage. Plumbing defaults, floods and sewerage systems defaults can cause a lot of water damage to any commercial building or even residential premises. Plumbing defaults, floods and sewerage systems defaults can cause a lot of water damage to any commercial building or even residential premises. Water damage does not only affect the structure of a house, but it also affects the contents of that building. Whether the damage is caused by pipe break, supply line break or flooding, it is highly recommendable to work with water restoration professionals who shall help in restoring the building to its normal condition. In the course of flood damage mitigation, several things must be taken into account to because the process can be complicated and tricky. In this kind of a project, the primary consideration is assessing the entire pipe break or supply line break systems and understanding the requirements for the work. The water cleanup experts must, therefore, be able to conduct a comprehensive inspection process regarding the water in home or water in business premises. This helps the restoration company to understand the cost caused by the flood damages, the time frame of the mitigation process as well as materials and machines required in the process. During such an inspection, the professionals also evaluate the cause of the pipe break or supply line break caused by the water in home and try to stop excessive water from entering the building. Some of the components inspected by a restoration company include the pipes supplying water in business premises, the source of the water as well as the supply lines. If the flood damages contain some sewerage components in the supply line break the professionals will precede with the necessary precautions. After the restoration company has inspected the entire project in the restoration process, they then proceed to the water cleanup process to evacuate water in business areas or residential premises. This is whereby the water is evacuated from the inside and surrounding of the premises. This as well includes moisture removal from the building. By the use of a good technology and efficient water extraction machines, thousands of gallons of water in home can be removed from the affected premises easily and within the shortest time possible. After the extraction of water in home or water in business building, the restoration company uses dehumidifiers as well as air movers top ensure that space is completely dried up in the restoration process. During the drying process, the windows are all open to allow air circulation on the premises. During drying, the restoration companies are required to monitor the affected areas and make adjustments on their water cleanup equipment if necessary. The primary objective using the most efficient drying machines in this procedure is to provide the most effective services, save the client money and time and restore the building to its normal conditions within the agreed period. This is considered the final step in any water damage removal process. The process entails re-tilling of the house, painting, reconstruction of the walls and the floor or even renovating the roof. Every remodeling process in each premise is done differently. This mostly depends on the extensiveness of the damage and the desires of the homeowner. The remodeling process reflects the kind of design a homeowner shall have after the entire damage renovation process. The homeowner should define and declare the kind of designs they want to be restored to their flooded homes before the actual work is done. This helps in ensuring that the remodeling fits the desires and anticipations of the homeowner. It also helps the expert in knowing the materials in restoring the flooded home, pipe breaks and necessary supply line break. In case you experience floods in your home or a business premises, it is important to start the water cleanup process as early as possible. Removing some things from the flooded home such as the furniture, fittings, electrical fixtures and other belongings is necessary even before you call the experts. These are things that can absorb water and cause more flood damages and thus more losses. 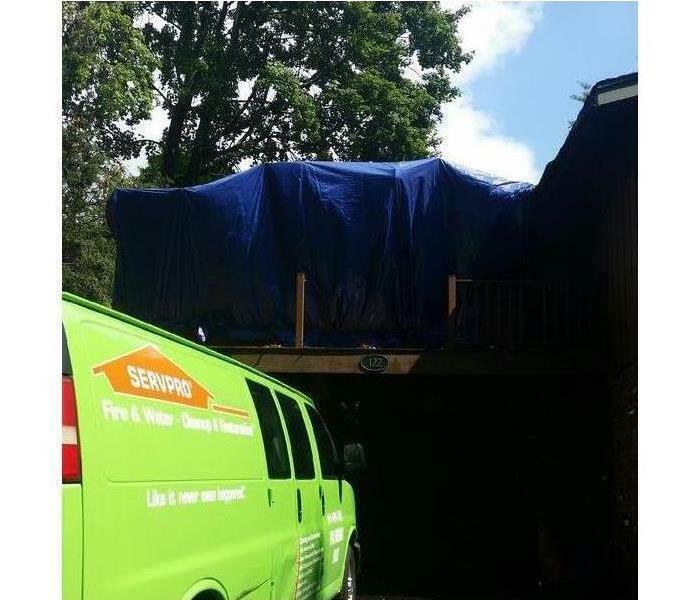 You can as well, ask reputable water removal companies to do such work for you to avoid more losses during the mitigation on the flooded home. 4/11/2019 - Is A Mold Inspection a Good Idea Before Purchasing Property? 3/19/2019 - How Can Damaged Documents Be Restored?